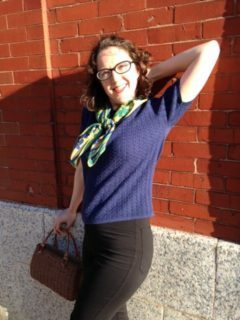 I knit this one! I finished it! It only took me two years! 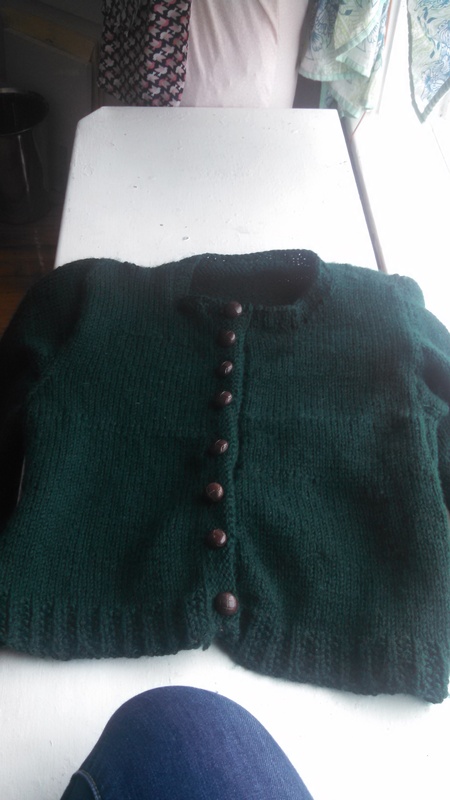 It fits on my body and everything!It’s the most basic of basic cardigan patterns. The buttons are vintage from my grandma’s button box, and no, they are not all identical. 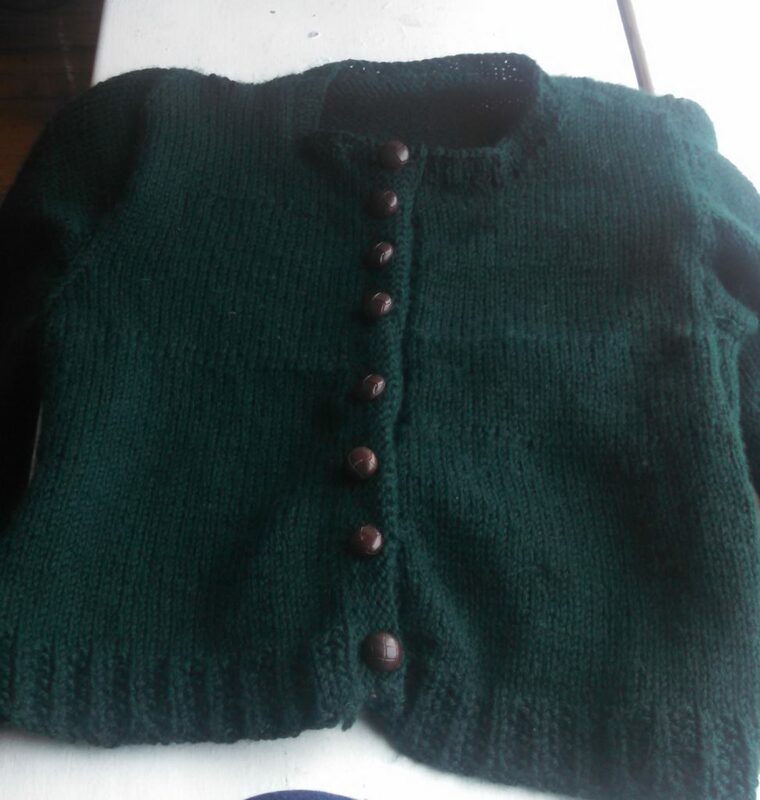 Sweater-knitting is super addictive, and I am hopeful that my next one won’t take two years. 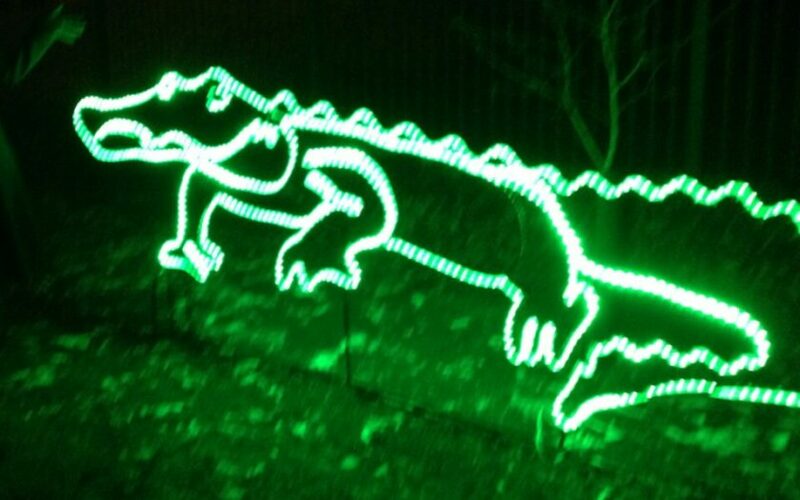 One of my favorite holiday things to do is the Lincoln Park Zoo’s light display. 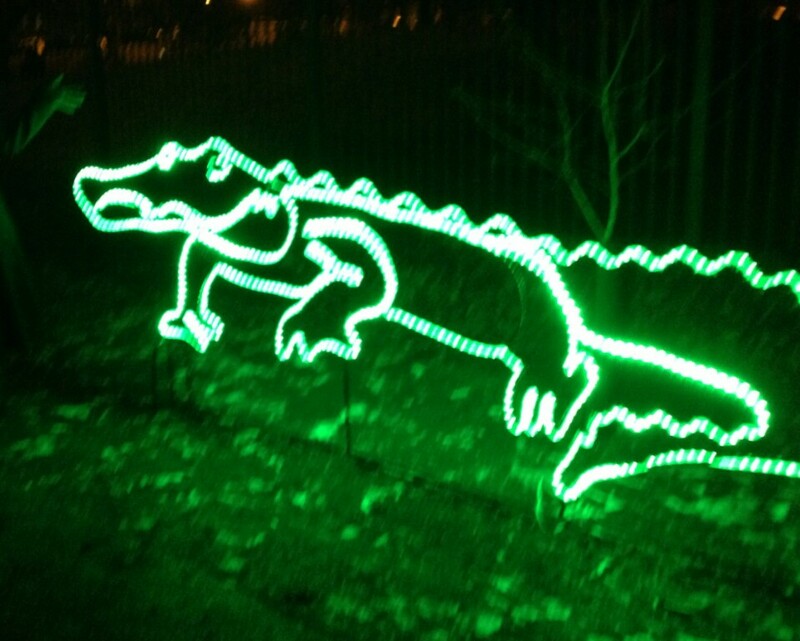 Zoolights is a truly impressive installation of Christmas lights. 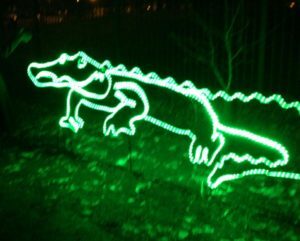 It’s free, it’s festive, and sometimes you get to see animals.SIDE NOTE: This year, I discovered that looking into zoo exhibits at night is scary. Some deep, evolutionary warning pings deep in your stomach when you’re looking for polar bears and can’t quite see everything. I pointed this out to my companions, and I was not alone in my freaked-outedness. When a snow leopard’s eyes glint at you in the dark, your brain is not too convinced that fences make that much of a difference.But we were not eaten by leopards. We just saw a lot of pretty lights. I think of marmalade as a winter food. I suppose that’s because that’s when citrus is season. 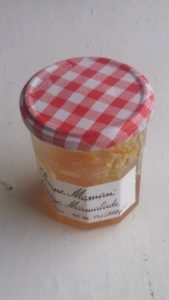 Of course, marmalade is preserved, so it could be eaten year-round, but I only crave it in the winter. My preparation never varies. Toast, thin layer of butter, thick layer of marmalade. It makes me feel like a British lady detective. Bonne Maman is good, but I like the Trader Joe’s house brand even better. My grandma was a hot chocolate (with a dose of instant coffee in it) for breakfast person. 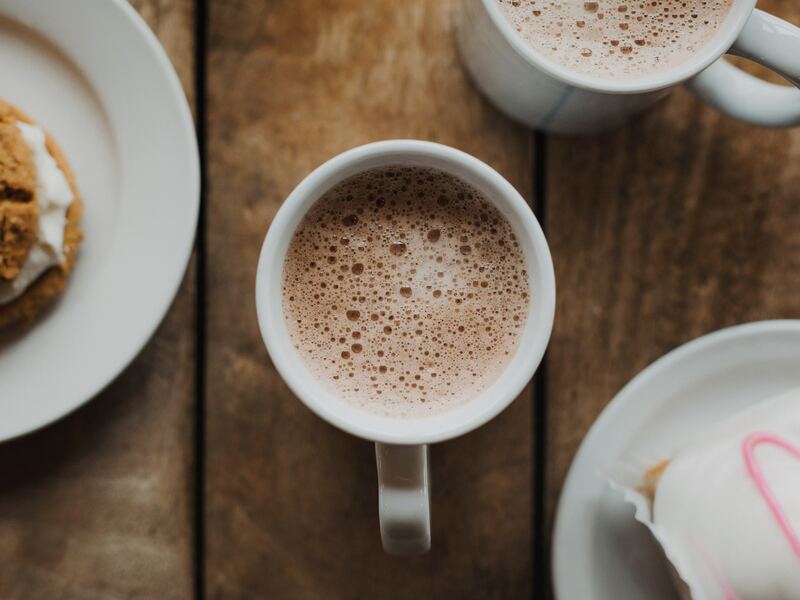 I am a hot chocolate (with the occasional dose of brandy in it) in the evening person. On the advice of one of my favorite cookbooks, Make the Bread, Buy the Butter, I switched up my recipe this year, and started using brown sugar instead of white. This is a game changer. It is really delicious, and perfect for sipping while watching Netflix and knitting. My neighborhood movie theatre has been in operation (almost constantly) since 1912. These days, it’s a four-screen, affordable treasure. Their ticket prices are already inexpensive, but on Tuesdays they run an all-day $5 special. So lately, on Tuesday nights, we’ve been going to see a picture. This is a good incentive to see things on the big screen that I would otherwise wait to stream. For $5, I’ll take the risk that I won’t like something.There is something special about movies in the theatre. Being part of an audience is different than watching something at home, and feels a little more connected. How about you? What old-fashioned pleasures have you enjoyed this week? I busted out a teacup from my late grandmother’s “every day” 60 year old Royal Doulton China to drink a cup of tea while watching costume dramas on Netflix and her vintage Marshall Fields mink is keeping me fancy lady warm. Someone called it my old lady coat, but I prefer my Gashlycrumb Tinies or my Visit with Mr Tumnus coat, thank you very much. Yes, to all of this, from Gashlycrumb tinies to Royal Doulton! Which costume dramas are you loving?